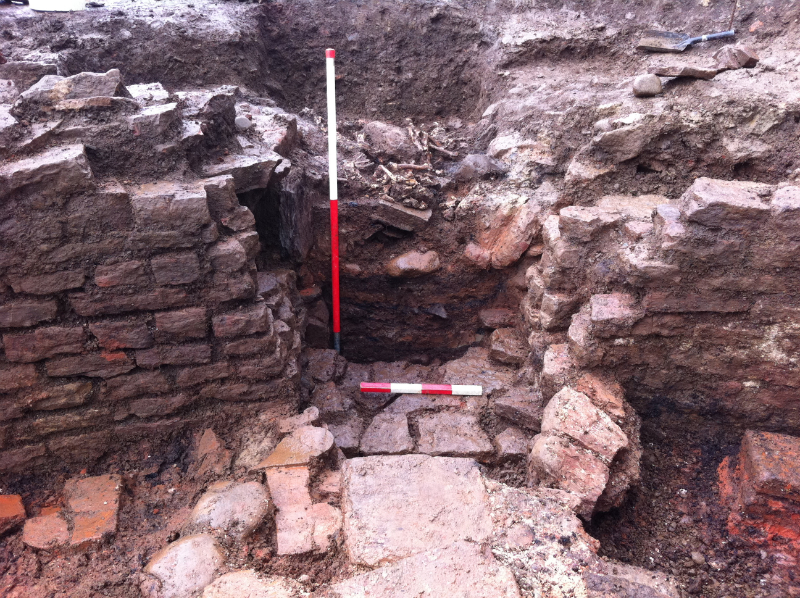 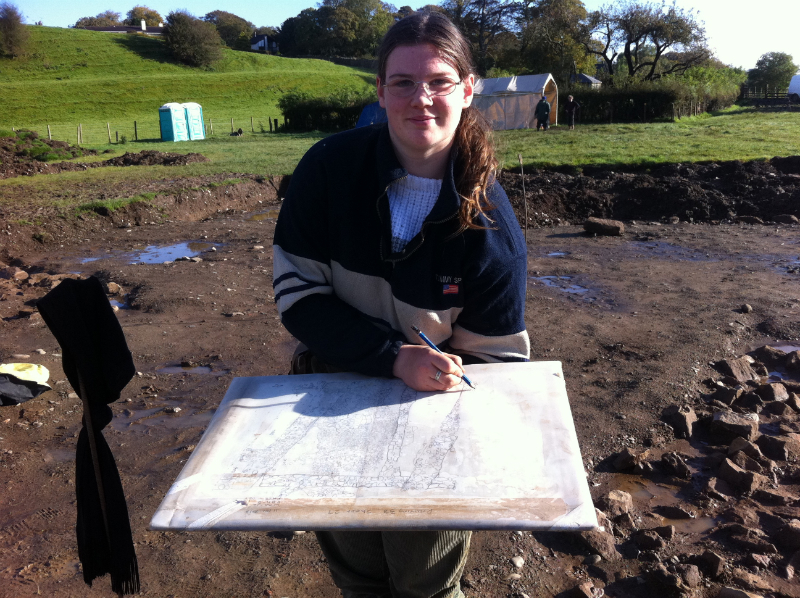 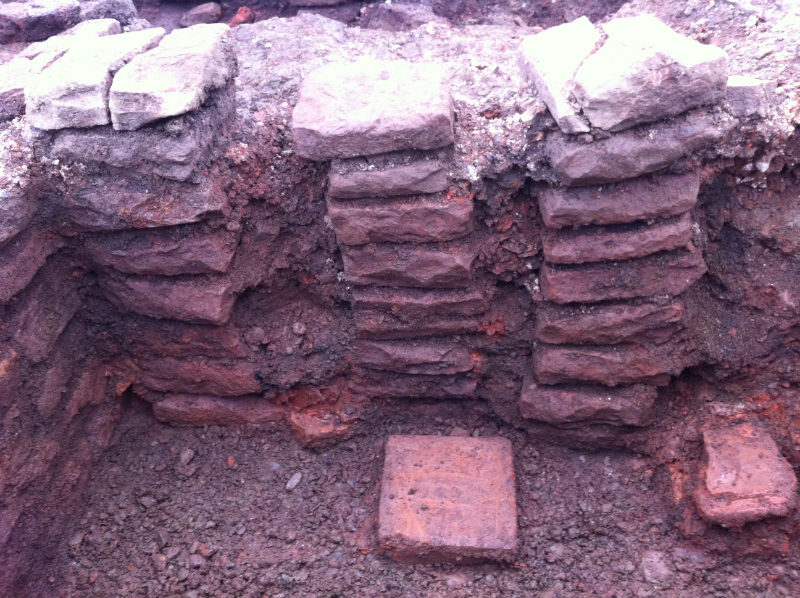 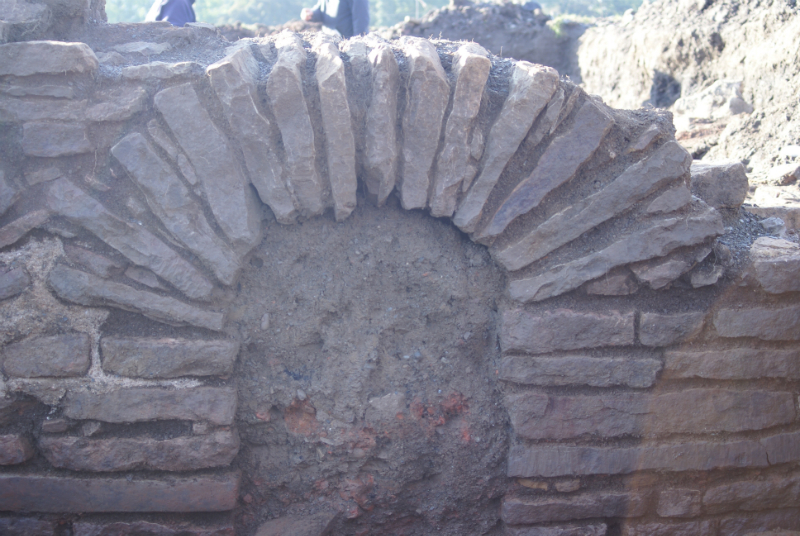 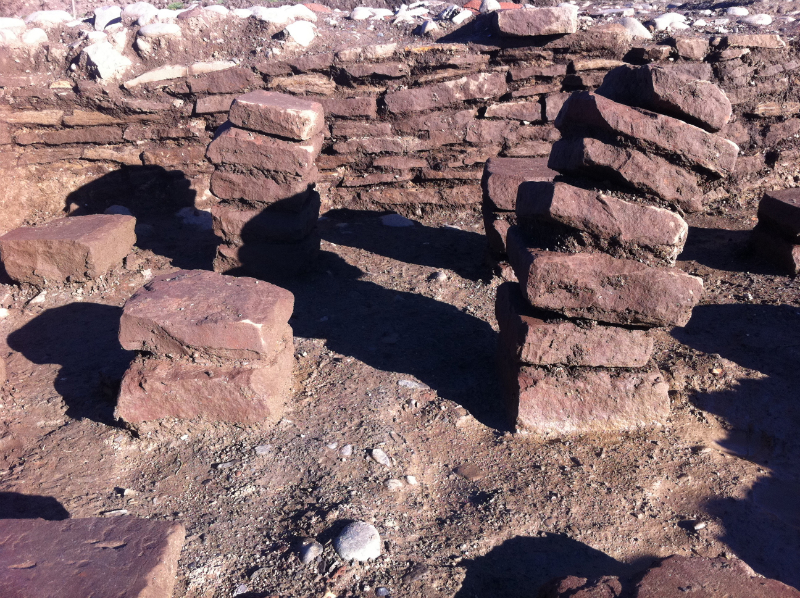 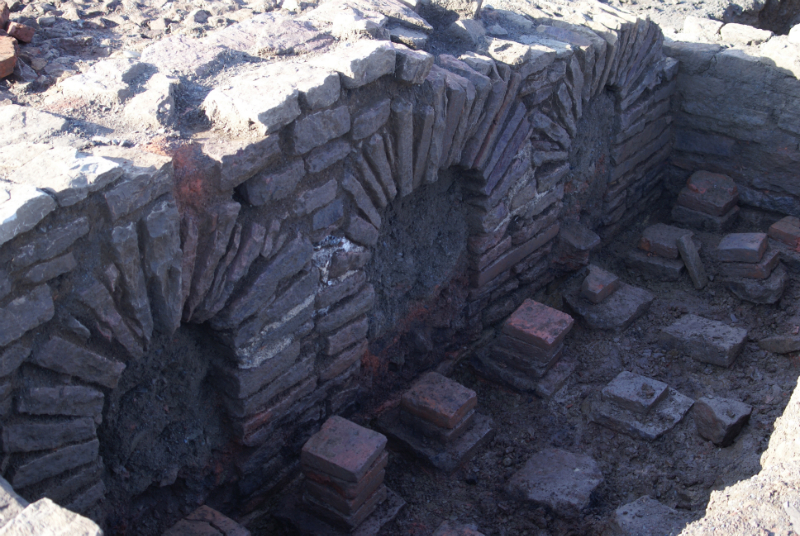 Some photos from our August to October 2012 excavation that launched the project. 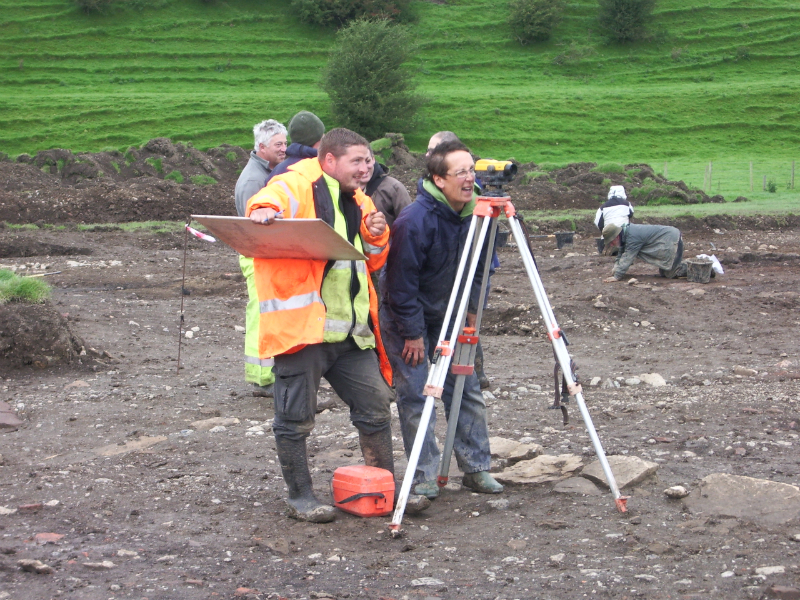 Once again Grampus Heritage worked with Wardell Armstrong Archaeology and with enthusiastic volunteers to excavate the large building that was discovered in the developmental phase. 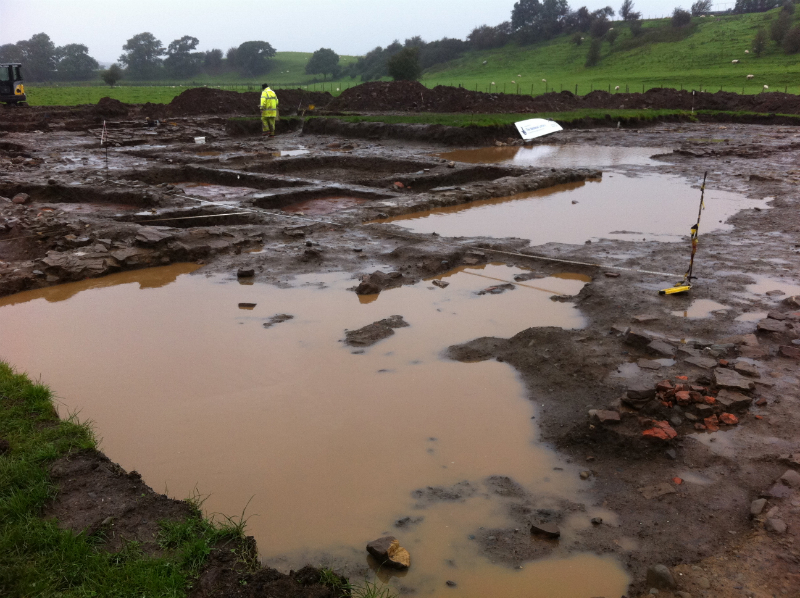 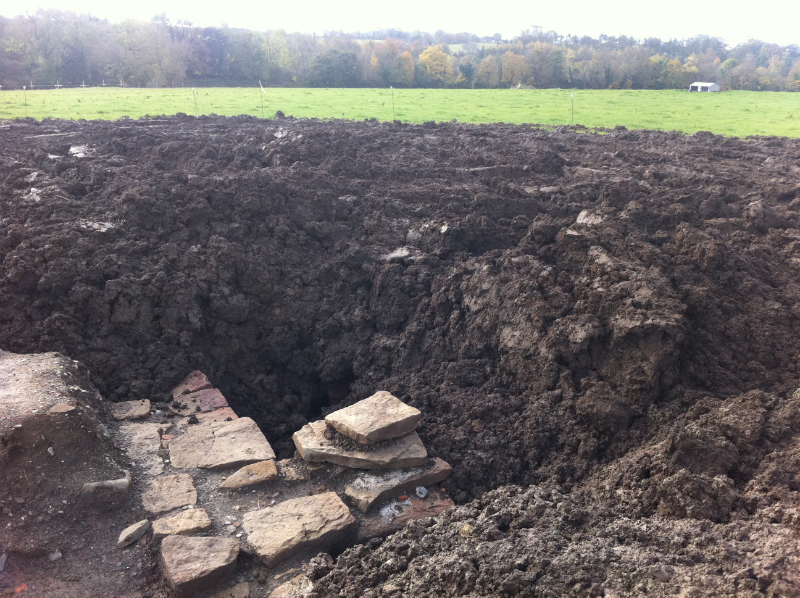 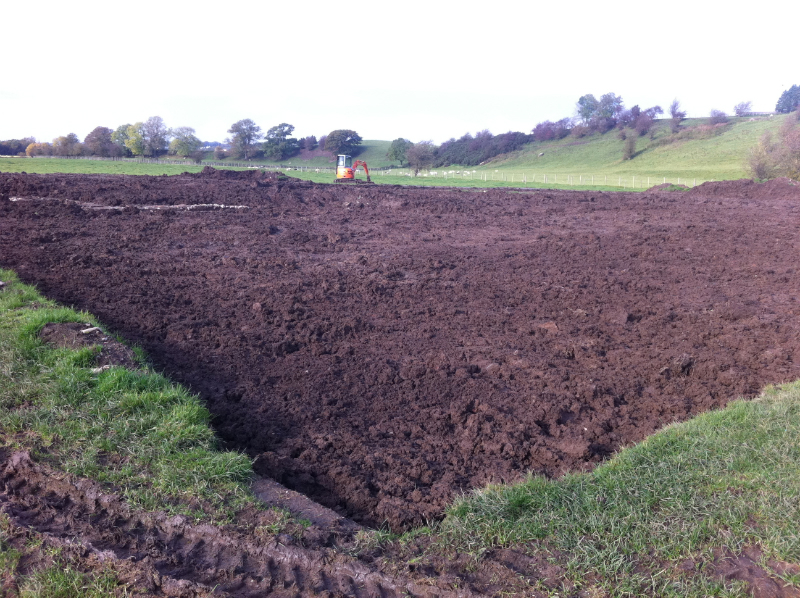 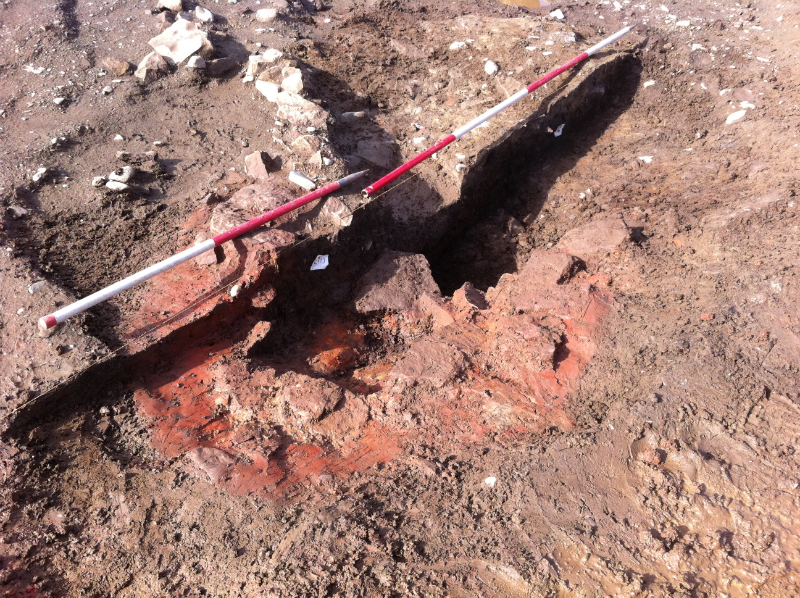 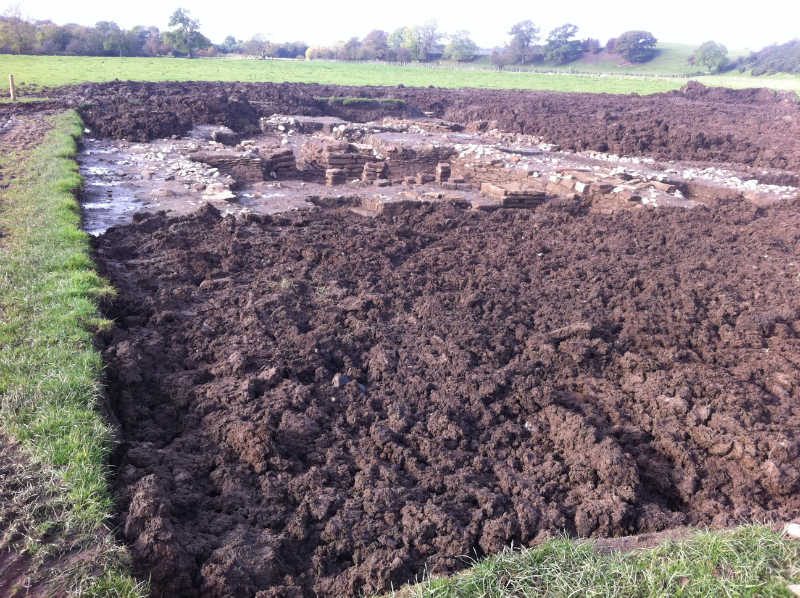 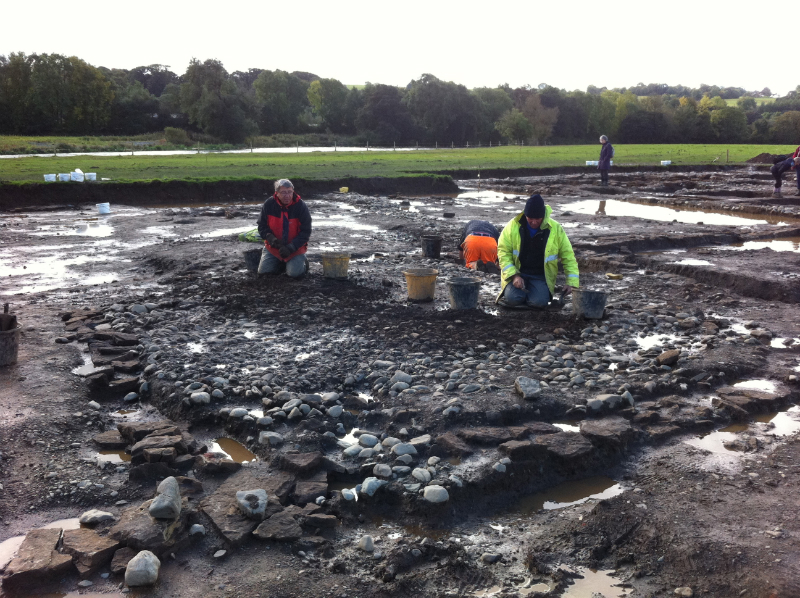 During the excavation, it became apparent that we were dealing with a much larger site than previously thought. 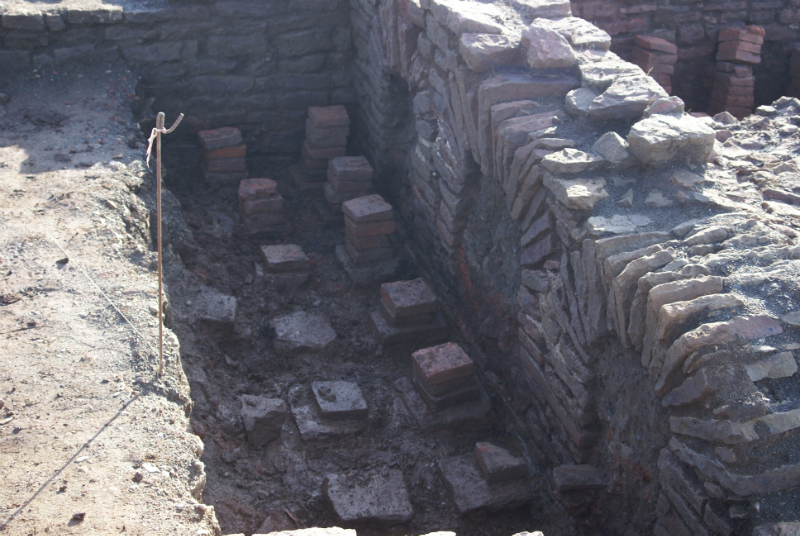 As we carried on excavating and extending the trench, we realised we were dealing with not 1, but 2 buldings on the same location. 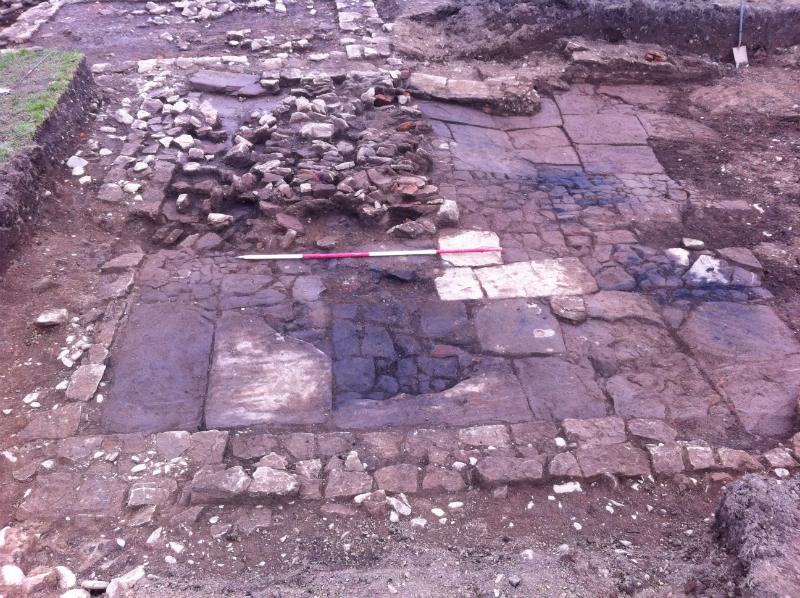 The aerial photos shows different building phases on different alignments. 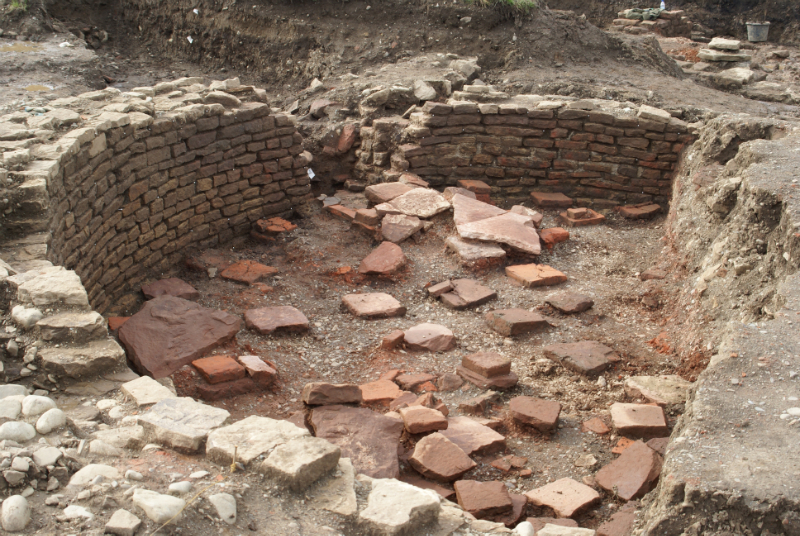 As the excavation wound to a close, it became apparent that there were multiple phases, and a total of 8 different building phases on the site have been identified. 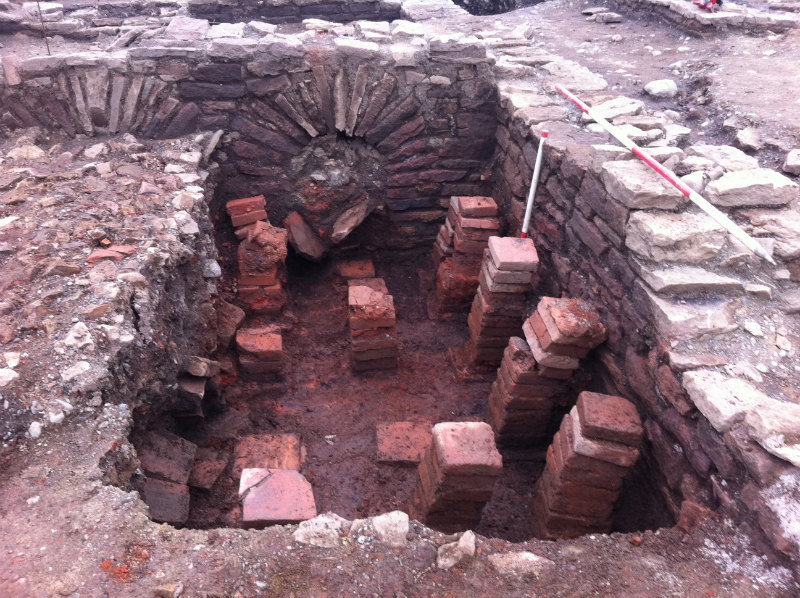 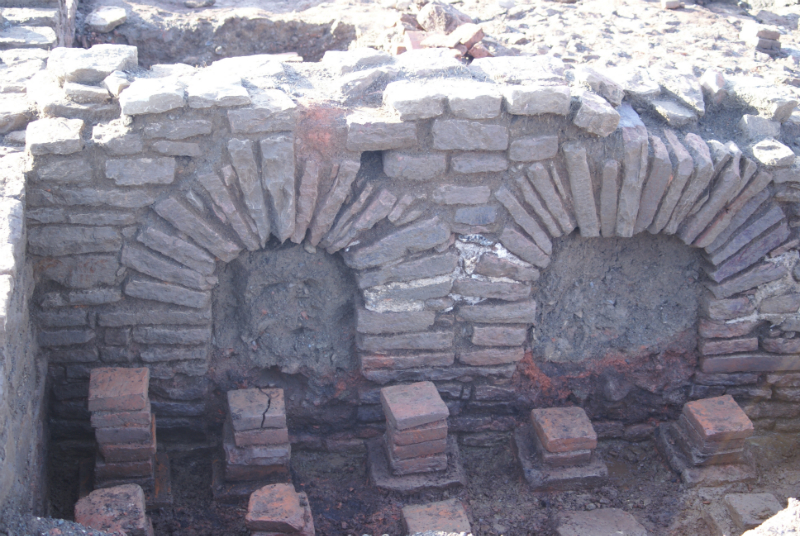 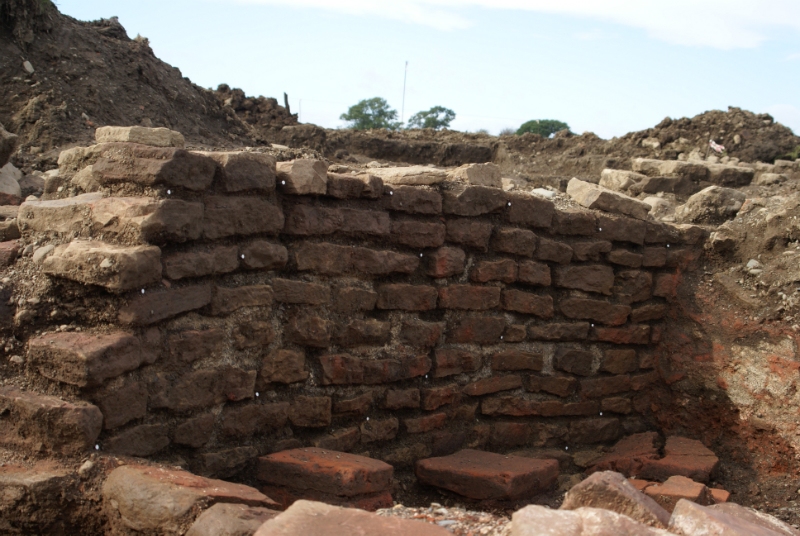 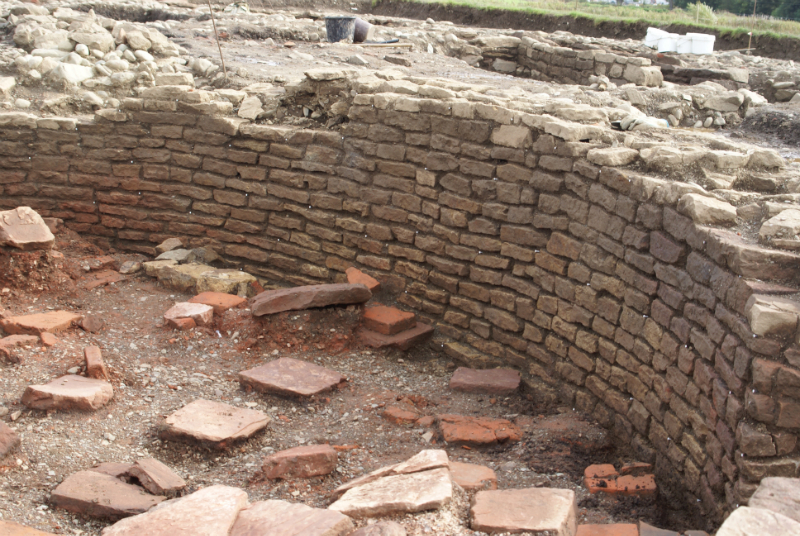 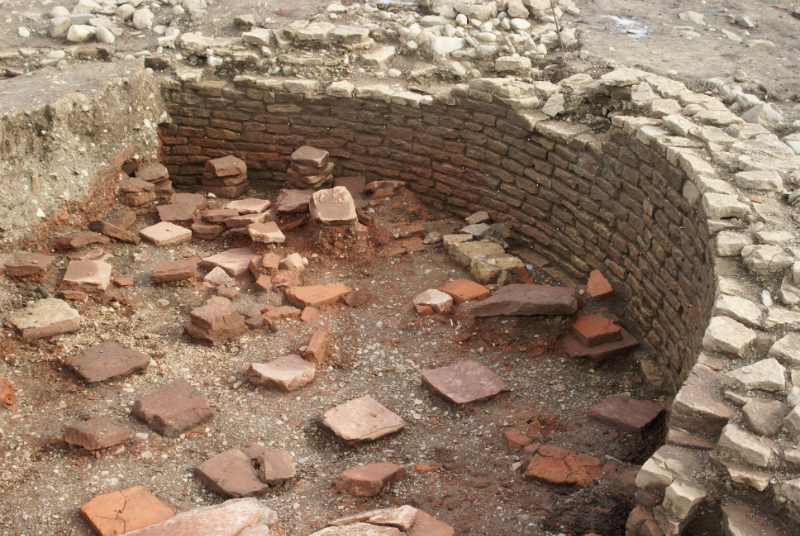 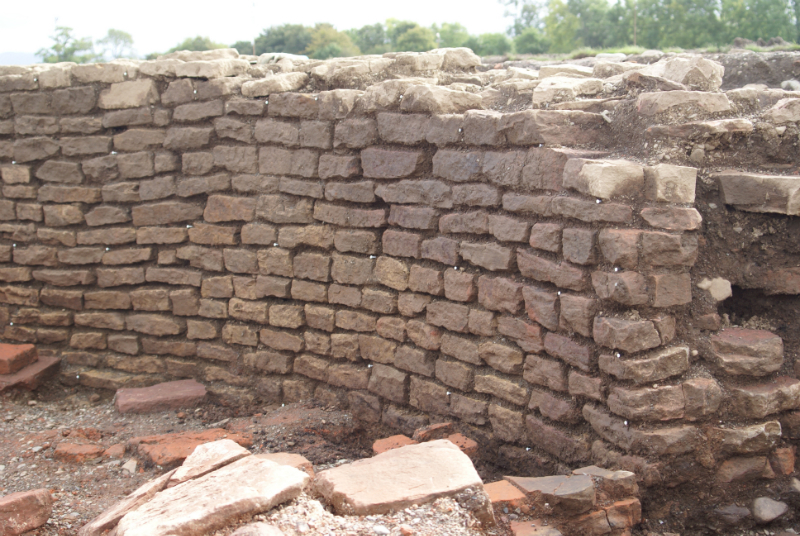 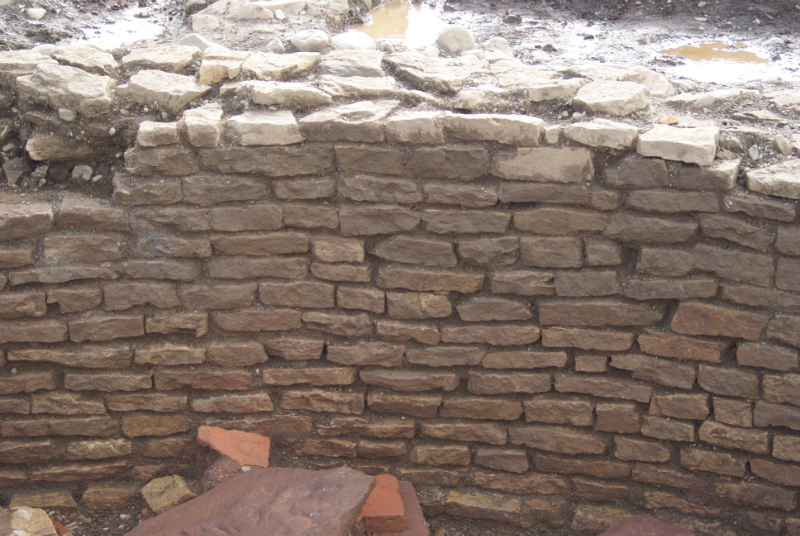 Dating evidence from pottery puts phases 2-6 as late 1st- early 2nd C and phases 7 -8 contained pottery from later 2nd – early 3rd C.
The Bathhouse Report is available to download. 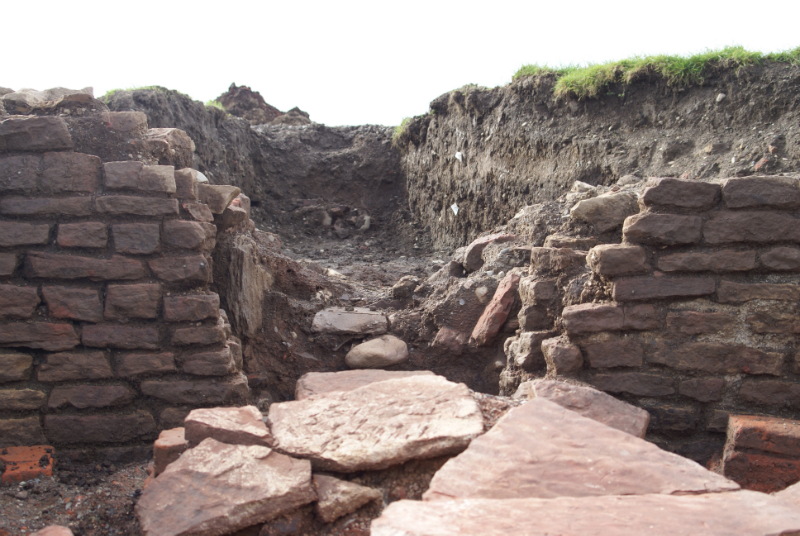 This is an interim report as we are waiting for a couple of reports to be added.